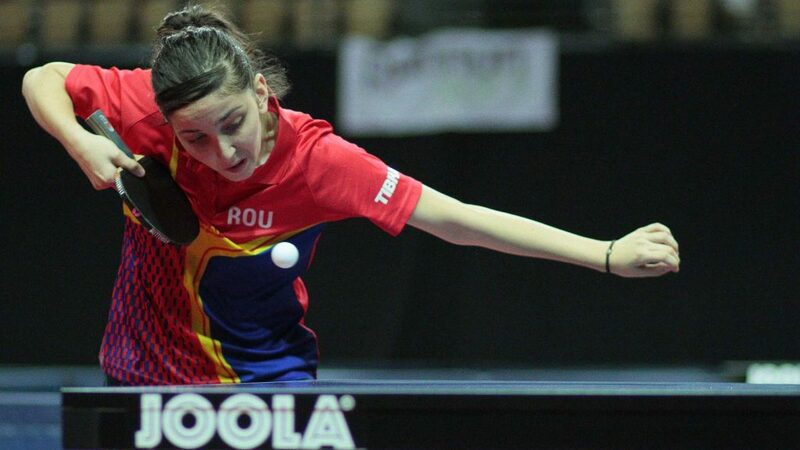 Success for Chinese Taipei’s Feng Yi-Hsin and Romania’s Tania Plaian at the Hungarian Junior and Cadet Open in Szombathely on Sunday 6th November brought the tournaments that form the 2016 ITTF World Junior Circuit to a close. Feng Yi-Hsin won the Cadet Boys’ Singles title, with Tania Plaian emerging as the Cadet Girls’ Singles champion. The win recorded by Feng Yi-Hsin was as predicted and concluded a most successful day; some four hours earlier he had partnered colleague Tai Ming-Wei, to success on the Cadet Boys’ Doubles event. The pair accounted for the combination of Ireland’s Owen Cathcart and Finland’s Alex Naumi at the final hurdle (8-11, 11-9, 11-7, 11-9). Later in the day it was to be success in opposition to Tai Ming-Wei; the two players met in the final of the Cadet Boys’ Singles event with Feng Yi-Hsin prevailing in three straight games. Earlier in the latter stages Tai Ming-Wei, the no.2 seed, had accounted for the host nation’s Csaba Bence, the no.5 seed, at the quarter-final stage (11-8, 11-5, 11-7), before ousting Iran’s Amin Ahmadian, the no.4 seed, to reserve his place in the final (12-10, 12-10, 11-9). Impressive performances by Tai Ming-Wei, in the opposite half of the draw, in the latter stages, life had been more testing for Feng Yi-Hsin. He needed the full five games to beat Italian qualifier, John Oyebode in the round of the last eight (11-13, 11-4, 9-11, 11-8, 11-3), prior to experiencing a similar close examination when confronting Hungary’s Patrik Juhasz, the no.9 seed. It was a semi-final in which he faced the precipice of defeat; he lost the first two games before standing on the brink in the fourth (8-11, 10-12, 11-7, 13-11, 11-5). Notably, Patrik Juhasz had caused an upset of note by beating Russia’s Maksim Grebnev, the no.4 seed, in the third round (9-11, 11-13, 11-8, 11-7, 11-7), prior to recording a quarter-final success in opposition to Chinese Taipei’s Huang Yan-Cheng, the no.11 seed (13-11, 11-7, 11-4). Success for Feng Yi-Hsin as predicted, for Tania Plaian the win was only a mild surprise. The no.2 seed, she accounted for Hong Kong’s Wong Chin Yau, the top seed at the final hurdle (12-10, 11-9, 8-11, 11-7), having earlier beaten most worthy opponents. She accounted for qualifier Claire Picard of France in the quarter-finals by the very narrowest of margins (12-10, 11-9, 8-11, 7-11, 11-9) prior to beating Chinese Taipei’s Chien Tung-Chuan, the no.8 seed in the penultimate round in a similarly hard fought duel (10-12, 6-11, 11-8, 12-10, 11-7). Meanwhile, somewhat less testing, in the round of the last eight, Wong Chin Yau had beaten Chinese Taipei’s Huang Yu-Jie, the no.7 seed (11-8, 11-7, 11-5), before defeating Italy’s Jamila Laurenti, like Claire Picard a qualifier (11-7, 11-8, 11-4). Defeat for Jamila Laurenti but like Chien Tung-Chuan, she could be more than pleased with her efforts; both had caused quarter-final upsets. Chien Tung-Chuan had beaten Korea’s Byun Seoyong, the no.3 seed (11-7, 11-7, 11-8); Jamila Laurenti had overcome Russia’s Ekaterina Zironova, the no.4 seed (11-1, 9-11, 11-3, 15-13). Disappointment for Ekaterina Zironova, but there was success; earlier in the day she had partnered compatriot, Elizabeta Abraamian the Cadet Girls’ Doubles gold. At the final hurdle they beat the host nation’s Veronika Menko and Viola Phan (11-7, 11-5, 11-3).